From left: Cliff Hilsgen and Kevin Ebnet, store manager. 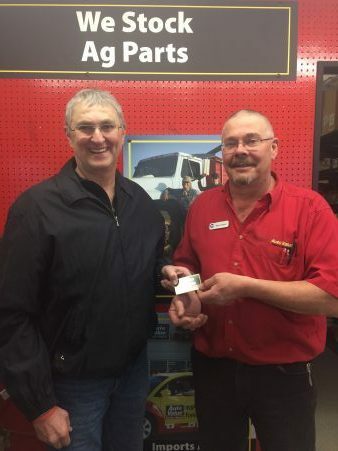 Auto Value celebrated the end of the Central Minnesota Farm Show by announcing the winner of its $500 Auto Value shopping spree sweepstakes on Friday, March 2, 2018. Cliff Hilsgen of Avon won the $500 Auto Value shopping spree. Hilsgen’s name was drawn from nearly 500 entries received during the 3-day Farm Show.